How common are superbugs in Australia, and what do we do when the antibiotics don't work? Hospitals in Australia are increasingly seeing patients with infections that are resistant to all but a handful of antibiotics. Last year an infection caused by bacteria that were resistant to all antibiotics (a so-called “pan-resistant” strain) was detected in the US for the first time. We can expect pan-resistant strains here too. Resistance is an inevitable consequence of antibiotic use. Almost all species of bacteria have evolved some degree of resistance since the introduction of antibiotics in the 1930s, but most remain sensitive to several classes of agents. A smaller subset of bacteria (known as multi-resistant strains) are only susceptible to a very limited range of antibiotics. Antibiotics commonly cause allergies and other side effects (such as kidney and liver toxicity) and it is not unusual to have to change antibiotics several times during treatment of a serious infection. If you start with a multi-resistant strain it may not be too long before you run out of treatment options. The impact of a particular germ is not simply dependent on whether an effective antibiotic is available. It is determined by the power (or “virulence”) of the organism, the dose you are exposed to, and the strength of your immune system. Bacteria that are susceptible to most antibiotics are still responsible for most life and limb-threatening infections. For example, 80% of strains of the powerful organism Staphylococcus aureus, or golden staph, remain sensitive to commonly used drugs. If a sensitive staph infection enters your bloodstream, your chance of being dead in 30 days is 13% (which is bad enough). But add in antibiotic resistance and you get what is now known as a “superbug”. Now, the risk of death at 30 days is 20%. The term “superbug” doesn’t necessarily mean it cannot be treated by antibiotics and death or amputation is imminent. But it does mean most of our commonly used antibiotics will be ineffective. We’re forced to resort to antibiotics that are rarely used due to high cost, toxicity, and harmful side effects. The worry is these multi-resistant bugs are increasing all over the world, and therefore bugs that don’t respond to any antibiotics will too. One of the most concerning multi-resistant bugs to emerge affects a family of bacteria that live in the human gut called “enterobacteriaceae”, which includes E.coli. These bacteria have become increasingly resistant to the broad spectrum antibiotics called “carbapenems” that are reserved for the treatment of only the most serious infections. Ten years ago we would have been confident all Australian enterobacteriaceae would be sensitive to carbapenems, but today about three in 1,000 are resistant - a nearly 10-fold increase. Life-threatening disease caused by carbapenem-resistant bacteria is still rare in Australia, but elsewhere this type of resistance has been at crisis levels for a decade. In some parts of India, 28% of enterobacteriaceae infections are caused by bacteria resistant to these last-line antibiotics. Resistance in enterobacteriaceae is of public health concern because they are such a common cause of infection. E.coli can easily move from the gut to the urinary tract in young sexually active women, who can expect to suffer at least one attack of cystitis (infection of the bladder) every two years. Sometimes a bladder infection can travel up to the kidney causing a much more serious infection that requires hospitalisation. Early treatment of cystitis with effective antibiotics can prevent these complications. But recently, I have treated several women with cystitis caused by bacteria resistant to all oral antibiotics. These patients were not very sick, but the only way to resolve their symptoms (and reduce the chance of them developing more serious infections) was to administer intravenous antibiotics or to get permission to use an oral antibiotic (fosfomycin) that is not yet licensed in Australia. Both are expensive and inconvenient options. These women had a history of overseas travel, but now we also see highly-resistant strains of enterobacteriaceae in people who have never left Australia. 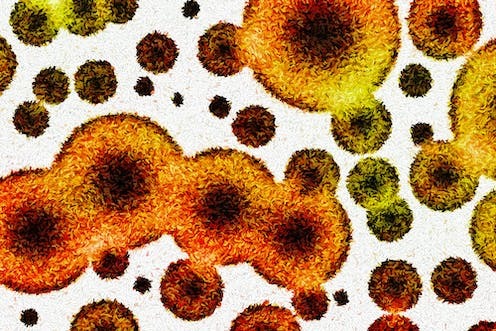 People can harbour resistant bacteria in their gut and experience no ill effects. This is known as “colonisation”. Over the past decade, multi-resistance in a family of gut-living bacteria called enterococci has skyrocketed. In 2015, half of the samples of Enterococcus faecium found in blood in Australia were resistant to almost all antibiotics. Because enterococci are intrinsically less powerful than germs like E.coli, they usually only cause disease in very sick, hospitalised patients, especially in those with foreign material in their bodies such as a prosthetic joint or heart valve. Nevertheless, most hospitals will isolate patients who are colonised with multi-resistant enterococci to prevent transmission to more vulnerable patients. This can be very costly to the health system and distressing to the patient. How do we treat the bugs once antibiotics can’t? Once we run out of effective antibiotics, we will return to the way medicine was practised in the early 20th century. Amputation of an infected limb, currently a dreaded last option, will become one of the first things to consider. 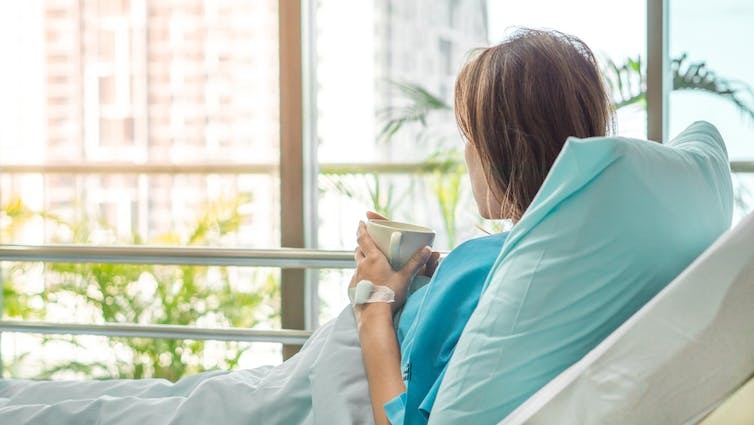 Hospital wards will again be full of patients with abscesses in their abdomen or bones that can only be treated by repeated drainage and surgical procedures. Many routine operations, such as joint replacement, may become too risky to perform because of the risk of an untreatable post-operative infection. The main hope is that the pharmaceutical industry will return to antibiotic discovery after decades of focusing on anti-viral drug development. Highly-resistant bacteria are responsible for a relatively small proportion of the serious infections that occur each year in Australia. But this is rapidly changing. Improving infection control and restricting antibiotic use in humans and animals can slow the rate of emergence of antibiotic resistance, but it may be too little too late. Repeated warnings about resistance seem to have done little to stop doctors prescribing antibiotics for mild bacterial infections (where they are usually unnecessary) and for viral infections (where they are simply ineffective). Unfortunately it is the next generation of patients who will be most likely to suffer from this collective medical error. Frank Bowden does not work for, consult, own shares in or receive funding from any company or organisation that would benefit from this article, and has disclosed no relevant affiliations beyond the academic appointment above. Can you claim bike expenses on tax? 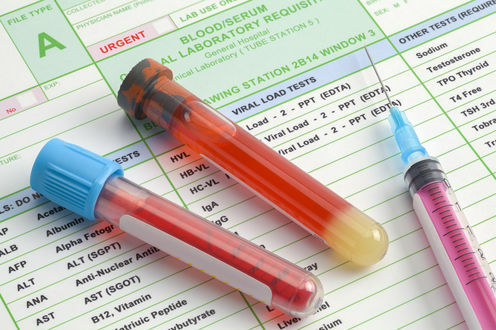 Can we use a simple blood test to detect cancer?